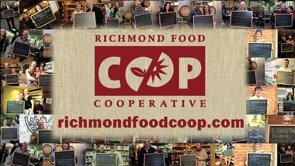 Presenting the Richmond Food Co-op fundraising 2014 campaign in Richmond, Virginia. ©2014 DEREK FOWLER PRODUCTIONS. © 2019 Derek Fowler Productions All Rights Reserved.